Following a growing trend, Fortech launches its 4th operational center in Brasov, Romania. The city placed in the heart of the country is competing with Iasi for the 4th, place of the most effervescent IT hubs. Over 80 professionals, guests and collaborators are expecting to join the official opening event, held on April 4. Fortech, headquartered in Cluj-Napoca, is expanding its activity in Brasov. Classified by The World Bank as a magnet city, Brasov attracts each year professionals who relocate from the restless big cities. Even though it is known for its tourism opportunities, Brasov is now competing with Iasi for the 4th place in the Romanian IT industry, according to a recent study. 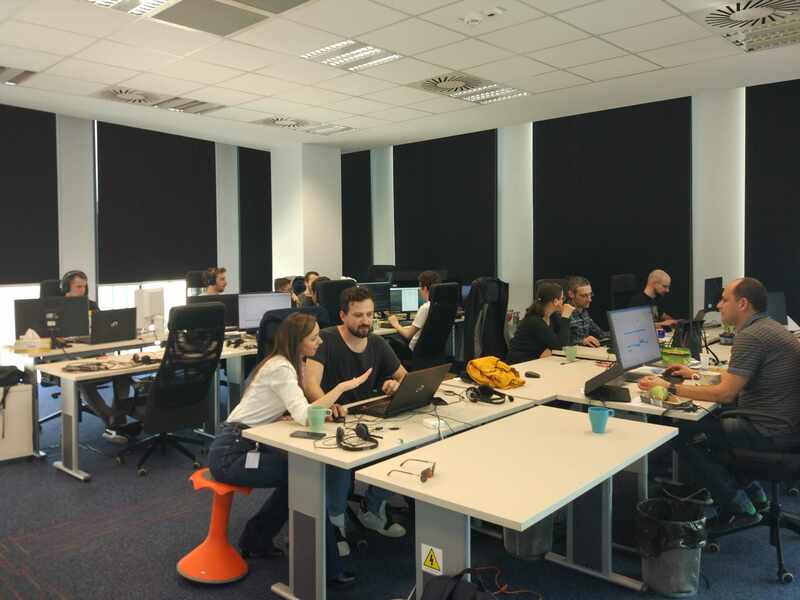 Employing more than 700 engineers distributed in Cluj, Iasi, and Oradea, Fortech plans to grow the brand-new operational center as a hub of IT expertise. For the moment, the delivery center counts over 10 professionals. However, the team who is working in an 800+ square meter rented space in Coresi Business Park will triple its size by the end of the year. “The IT market is a dynamic place; you have to adapt to stay relevant. The competition is growing, but one of our main advantages remains our orientation towards quality. We choose Brasov because we find here professionals who can help us take the company to the next level.”, declared Calin Vaduva, CEO Fortech. 2018 marked a growth milestone; the company registered a 24% YoY revenue increase. Fortech, with a 28.5 mln euro business, was recognized by EY Romania as 2nd most entrepreneurial Romanian IT companies in 2018. The company, who recently celebrated 15 years of existence, experienced a steady growing rhythm in the last 3 years. 2016 was the first wave of extension outside Cluj. Back then, Fortech opened its first two offices in Iasi and respectively Oradea. Compared with the previous year, the capacity of Fortech’s remote delivery centers improved with 30%. Over 80 members of the IT community in Brasov, guests and collaborators are expecting to join the official launch, held on April 4 at Fortech’s premises in Brasov. Members of the local IT community are invited to meet Fortech’s team and to attend technical sessions delivered by professional speakers. Vlad Mihalcea, Java Champion and author of the Amazon bestseller High-Performance Java Persistence will talk about Transactions and Concurrency Control Patterns. Two Fortech Senior Software Engineers will share their expertise too. Alex Bartis will showcase one of Fortech’s complex mobile projects, while Dan Nicolici will approach Tackling Performance Issue. “Our first interactions with Brasov filled us with enthusiasm and good energy. We want to be that company who leaves a mark on the IT community through our projects, technical events, and expertise refined in over 15 years.”, concluded Aurelian Maga, Site Manager Fortech in Brasov.